(January 12) The Foundation for Sight and Sound (FSS), a Long Island non-profit group dedicated to providing services and solutions to hearing-impaired populations, announced that the group has selected Long Island hearing professional David Carr to join the Foundation’s board. “David is a fantastic choice for the Foundation,” announced Mitchel Shapiro, Founder and Executive Director of the Foundation. “He is truly committed to the cause of providing better hearing for all hearing impaired populations,” he added. FSS recently sponsored the “Help America Hear” initiative, created by Mitch Shapiro and David Carr, and supported by Carr’s firm, McGuire’s Hearing and Audiological Services. 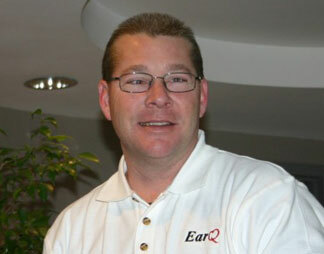 Other supporters included Ear Q, a device distributor and coalition of more than 700 professionals nationwide. The first “Help America Hear” event, held January 10 at the Children’s Hospital at Montefiore Medical Center, resulted in 20 children being tested and fit for donated state-of-the-art hearing devices.